With the expulsion of the Hyksos, the princes of Thebes now reigned supreme. 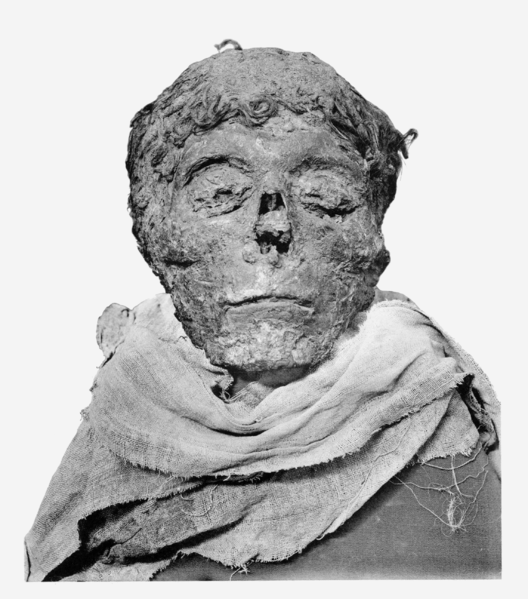 The war against the Hyksos had not been without cost: Ahmose lost his father Seqenenre II and his brother Kahmose within about three years of each other, leaving him heir to the throne at a very young age. His mother, the redoubtable Queen Aahotep, was a powerful force in the land and may have been co-regent with him in the early years of his reign. After expelling the Hyksos, Ahmose was faced with the task of consolidating Egypt's borders, which he did with a series of rapid campaigns that sealed the Syrian border and brought Nubia (Kush) to heel. There must also have been much to do domestically and Ahmose seems to have devolved a great deal of the responsibility on to local governors in the nomes. He encouraged support for his regime with gifts of land - as recorded by Ahmose son of Ebana in his tomb at el-Kab (p. 97) - and initiated temple building projects, the best evidence of which comes from remains and inscriptions at Abydos. Manetho gives Ahmose I a reign of 25 to 26 years, which is substantiated by Josephus, who allocates 25 years and 4 months to the king. After his death, Ahmose was buried in the Dra Abu el-Naga area of the Theban necropolis, in front of the Theban hills. Curiously, although his well-preserved mummy was found in the great royal cache of 1881, and Wallis Budge bought a unique limestone portrait ushabti of the king for the British Museum in the 1890s, the location of his tomb is unknown.